Many of the Dallas /Fort Worth municipalities have gone to 3rd party energy inspectors for their energy code inspections for residential and commercial properties. The list include the following municipalities; City of Dallas, Colleyville, Corinth, Grapevine, Lewisville, Little Elm, Plano, Frisco, McKinney, Murphy, West Lake, Highland Village, Allen, Frisco and Grand Prairie, just to mention a few. These cities now require a 3rd party energy inspection as part of their building inspection process to assure compliance with their city code. The energy code in the North Texas area has changed to the 2015 IECC (International Energy Conservation Code) last year. This change will affect residential and commercial construction in a significant way and increase the cost of construction across the state of Texas. The Dallas Energy code regulates all construction materials, assemblies and that use or all energy transfer through it such as walls, ceiling, foundations, Windows, doors heating and air conditioning, HVAC duct work, water heaters, lights, pools, spas and appliances. Each city was mandated by state law to adopt the 2015 IECC before September 1st 2016. The transition had already begun with Carrollton adopting the 2015 IECC on January 1st 2016. Southlake became the second municipality with their form adoption on May 1st 2016. All cities have made the transition now. Construction projects are assigned to an energy code when they are permitted. If your project was permitted under an older energy code, then you can download one of our handouts for the 2009 or 2012 IECC and move on to other pages for more information. If you are planning a project or are in the construction industry, then keep reading because your world is changing. Dallas is a dominate player in setting construction codes and standards in the DFW area. The smaller municipalities have been able to keep up with the energy codes changes by adopting the 2012 IECC so the changes in those cities will not be as dramatic. The North Texas Council of Government (NTCOG) has played a major role is standardizing the energy code across the DFW area. Regardless, things have changed for everyone. The energy code is based on the concept of a tight building envelope. The Building Envelope is the interior edge of the assembly of the insulative surface. When the 2012 IECC was adopted, the R-value of the walls and ceilings changed and that required the wall construction to change. R-13 insulation fits in a 2×4 wall. The R-value changed to R-20 which means a R-13 cavity fill insulation + R-5 continuous insulation on the exterior is required, or you could go with R-19 insulation in a 2×6 wall. Our energy report software gives some slight insulative value to the interior Sheetrock and exterior wall board sheathing. Ceiling insulation has changed from R-30 to R-38, but more importantly the acceptable minimum ceiling insulation value changed from R-21 to R-30 in small limited areas such as below the attic HVAC platform or vaulted ceilings. This means that 2×6 ceiling joist and rafters will have to change. The ceiling insulation must extend all the way to the exterior wall top plate so raised heel trusses or a change in insulation material will be required around the perimeter of the building. Insulation has different R values per inch so you can still keep the same construction materials and use a different insulation, but that comes at a price. Use the Insulation chart on that page on the website to help you choose an insulation that can work for your application. Heating, Ventilation and Air Conditioning (HVAC) design is based a series energy reports called a Manual J, Manual S and manual D reports. Energy requirements for your house needs to be determines by energy software to calculate what the heating and cooling load is for any given property. Different houses have different wall and ceiling insulation values, window U and SHGC values and sizes. Each property will use different amounts of energy depending on its orientation and construction. The Manual J report calculates the energy requirements to heat and cool the house to design criteria. Then you can size the HVAC system to meet those loads. The Manual S report calculates the sizing of the HVAC system to meet those loads. Most heating systems are oversized in the DFW area and can result is short cycling of the furnace system. Air conditioning is oversized which will lead to moisture and humidity problems. Over sizing units can be costly and cause big problems in your house. The Manual D report calculates the ventilation to all rooms to make sure there is adequate heating and cooling for these rooms. A south facing master bedroom or living room with lots of windows will have different energy requirements than a den or bedroom on the north side of the house. The 2015 International Residential Code (IRC) then requires that the air flow to each room be measured to make sure you will be comfortable and the room is adequately heated or cooled. There are other changes, but integration of the 2015 IECC energy code into the permitting and construction process was paramount. As the energy code progressed from one version to another, it also grew in complexity. Years ago, the Prescriptive path of compliance was the only way to comply with the energy code. As the subtle influence between one construction method and another, or one building material and another were better understood, it became possible to use energy report software to allow for a Performance path for the project to perform as efficiently as a project that had followed a Prescriptive path. We use RemRate software to generate energy reports for permitting to indicate how a home will perform when completed. RemRate is a software that incorporates all aspects of a home including: building orientation, window to wall ratio, insulation type and thickness, efficiency of HVAC equipment, and window values among many other energy components used in that project. The Energy Report can be generated showing that a home will perform as code specifies, while using different values compared to the Prescriptive path. The energy report is essentially a recipe to show how the house should be built and still comply with the 2015 IECC. 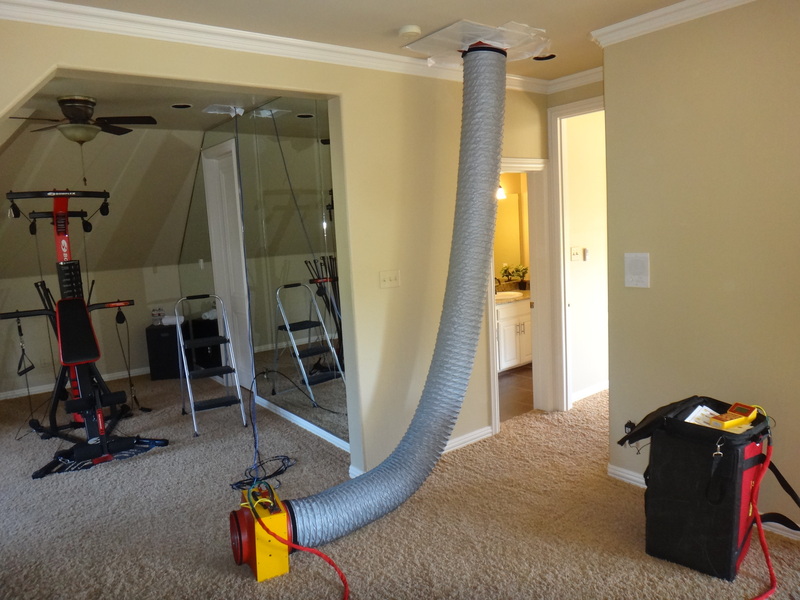 Following the 2015 IECC, ALL new construction must have a blower door (BD) test and duct pressurization (DP) test. The only exception to this requirement is if foam insulation is used on the underside of the roof deck in the attic. 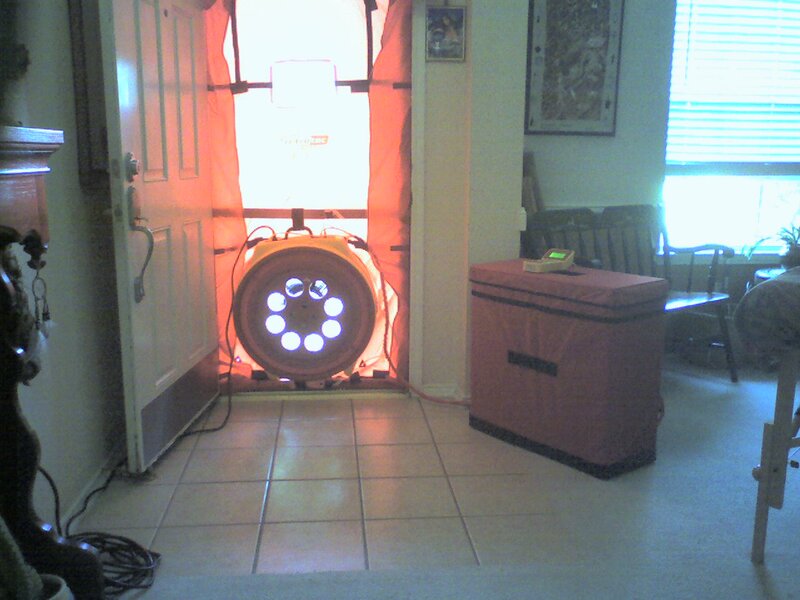 In this case the DP test is not required as the HVAC equipment is inside the building envelope. 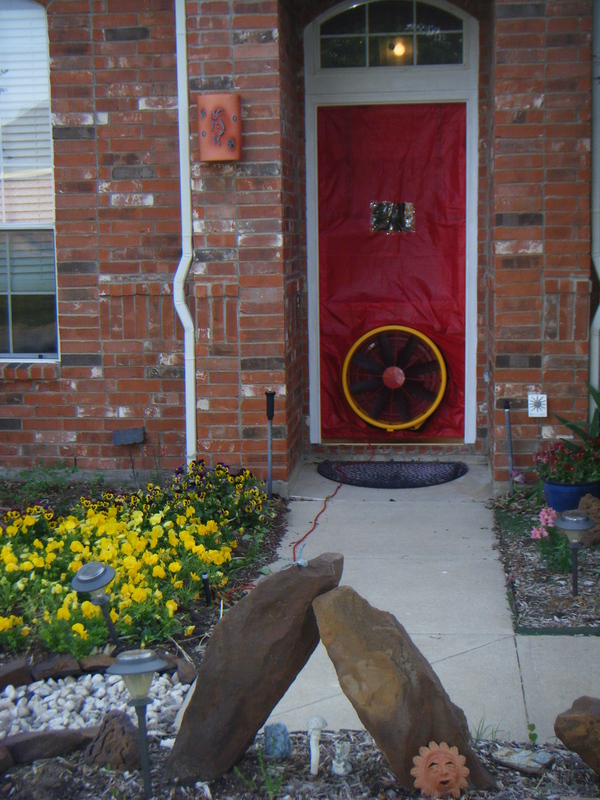 The blower door test requires that new residential buildings must have less than or equal to 3 Air Changes per Hour (ACH). Commercial projects have a similar test, but to a different reference standard (.4 CFM/sqft). This can be achieved by doing a thorough job of air sealing the building envelope. These details are spelled out in the IECC and in our IACL Residential and Commercial Energy handouts. There is a new NTCOG alternate path which lets the home perform at 4 ACH if the windows are better than code requirement (.32U-value). The window requirements for the 2015 IECC are a maximum of 0.35 U-value and 0.25 solar heat gain coefficient. Duct pressurization tests are required for all new homes that don’t use spray foam insulation all the way up to the roof deck. 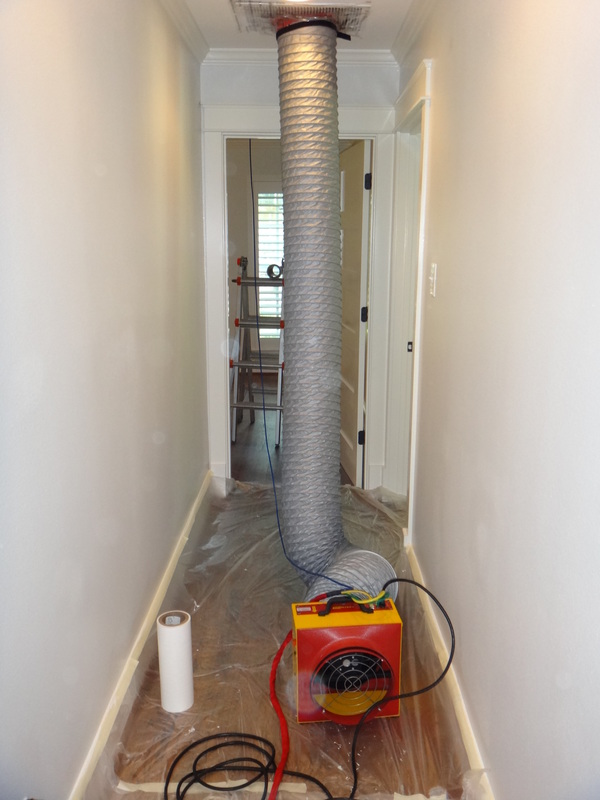 Under 2015 IECC, the duct pressurization test requires 4% maximum leakage. In short, homes are allowed 4 cubic foot per minute (CFM) air flow per 1000 square feet. This value has not changed since the 2012 IECC, and can be accomplished by following the same duct sealing requirements as the 2012 IECC. Rough-in DP testing is becoming more common as problems are easier to fix the earlier they are identified. New diagnostic tools are now being used to determine the precise areas in which the ducts are leaking. These tools include: “Smokeys”, which pushes smoke through the ducts so we can see where the smoke escapes showing leaks. Zonal pressure testing, which shows which rooms of the house are the most leaky in order to identify where the leak may be coming from, is another diagnostic test that our company performs to help our clients get a tight building envelope to pass the 2015 IECC. That Performance path has expanding into three separate paths that include an increasing list of materials and components that can used in the project to allow it to perform as if the house was based on a Prescriptive path. These three paths are the Total UA, Performance and Energy Reference Index (ERI). Producing an Energy Report at the permitting phase is now common requirement to show that your “Recipe” will meet the new energy code. Use the following links to take you to our new IACL 2015 IECC energy code handout to help you see the requirement for your project. Keep in mind that you only have to update those components that you disturb in you construction. An occupancy change can require numerous changes. New construction has to comply from the beginning. We have links to prior energy codes handout to help you through ongoing projects that may have been permitted under an older energy code. Published by our team at Infrared – A Closed Look (IACL). We also perform home inspections.